Bank robbers do not always need to wear masks; in fact, today they do not even need to step foot inside of a bank. Electronic forms of theft, especially identity theft, can cause some considerable problems in banking and affect the market itself. This is not a new challenge, and even America’s first bank needed to develop a system to prevent unauthorized withdraws, i.e. to confirm that money would be given to the intended parties. This lesson plan allows students to think critically about the issue of security, from its most primitive levels until today. This lesson plan includes connections between past and present; an interactive, primary-source based in-class activity; and reflections on the market as a whole. evaluate historical approaches to the problem of bank security and identity theft by looking at historic security measures and signature fraud. This lesson fulfills Economic Standards as well as the History ones detailed on the Unit Plan. The location of resources, transportation, communication networks and technological innovation affect international economic patterns and the distribution of wealth. What is the role of government in a modern mixed economy? Defend the role of government in a modern mixed economy in terms of fiscal, monetary and economic regulatory policies. Part I: Distribute paper copies of the “Checking Signatures” Worksheet, and (if possible) electronic copies of the 1785 Firm Book primary source. If electronic copies cannot be made available, perhaps it would be best for students to work in groups with a paper copy. Instruct the students that they should pretend that they are clerks at the Bank of North America, and that it is sometime in the 1780’s. The six signatures on the worksheet were signed on checks in order to withdraw funds from their respective bank accounts. In order to prevent a thief from making an unauthorized transaction, students must determine if the signatures are legitimate by checking them with the signature on file in the “Firm Book.” This activity should take at least 15 minutes for the students to look up every signature. Thomas Scattergood – deny the transaction. Do not give this person the money. 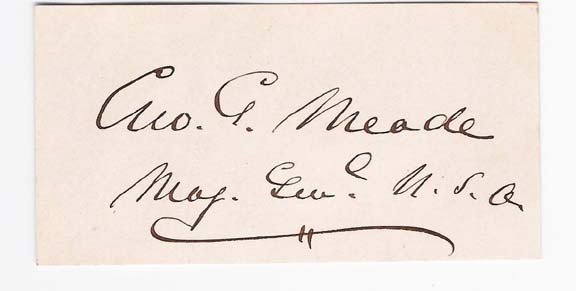 That signature was generated using a computer program, and adjusted to look like someone really wrote it, but it is in neither the handwriting of the Quaker preacher nor in his wife’s handwriting. Scattergood’s example is very important, however, because of the note that he left for the bank (pg. 161), allowing for a discussion on the role of women in the Early American economy. Scattergood anticipated that his wife (Sarah Scattergood nee Hoskins) would need to withdraw money while he was away and took precautions to make sure that her signature was also on record. The Scattergoods are an interesting family, more information can be found out about them at Haverford College and at the Scattergood Foundation’s website. It seems likely that Scattergood wrote that note in preparation for one of his trips to the Carolinas, to preach to African slaves. The fake electronic signature was created through onlinesignature.in. Thomas Jefferson – approve the transaction. Not only is this actually Thomas Jefferson’s signature, but it is taken from a real check that Jefferson wrote to himself (withdrawing money from his account at the Bank of North America). So, with that last example, students re-enacted precisely what a real clerk at the Bank of North America would have done in 1783, when that check was written. Was it an easy task? Would students have allowed a robber to get away with the money? Is matching signatures an efficient or effective way of bank security? What steps could be taken in order to ensure that money did not end up in the wrong hands? Should the government get involved? How should the government punish this type of theft? How serious of a problem is identity theft today? What role do corporations, like banks, play in preventing identity theft? What role does the government play in preventing identity theft? How can identity theft influence the market as a whole? What should every consumer know about identity theft? Evaluate the effectiveness of institutions to prevent identity theft, and develop a plan to prevent identity theft from happening today.